IWM is a family of five museums and historic sites covering war and conflict from the First World War to the present day. Our sites and unique collection of objects tell the human stories of lives engulfed in war and show how conflict has shaped the world in which we all live. Our museum sites include IWM London, IWM North in Manchester and IWM Duxford in Cambridgeshire. In addition we offer two historic experiences in London: Churchill War Rooms in Whitehall and the Royal Navy ship HMS Belfast which is permanently moored on the Thames. IWM was founded in the midst of the First World War with a mission to preserve and tell the stories of all kinds of people, not only from Britain but from the countries of its empire. And we continue to do this work right up to present day conflict, covering 100 years of experience throughout the Commonwealth. As well as our permanent displays, we have a dynamic programme of temporary exhibitions, events and educational activities to help our visitors to get close to the lives of those affected by war and to develop a deeper understanding of its effect on the world. We are partly funded by government but also need volunteers, donations, sponsorship and income from our shops and commercial activities to sustain our work. We also have a membership scheme, which is an ideal way to lend us support, while getting the best value access to all five of our sites. IWM is a leading authority on conflict and its impact, focusing on Britain, its former Empire and the Commonwealth, from the First World War to the present. Discover the story of our five museums, from 1917 to the present day. 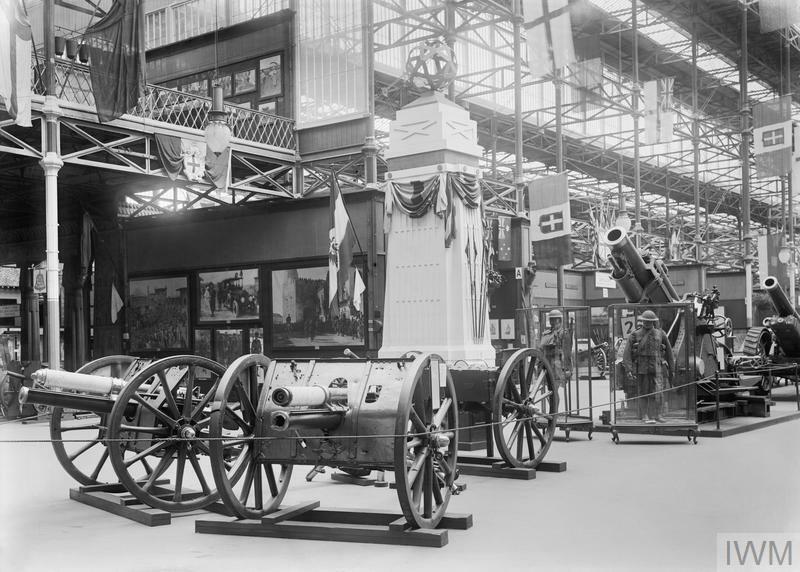 IWM was founded on 5 March 1917 when the War Cabinet approved a proposal by Sir Alfred Mond MP for the creation of a national war museum to record the events still taking place during the First World War. The intention was to collect and display material as a record of everyone’s experiences during that war – civilian and military – and to commemorate the sacrifices of all sections of society. Make a financial donation to IWM and help us to tell the stories of those affected by conflict, create our thought-provoking exhibitions and deliver our learning programme.